Superb control of flare, distortion, veiling glare, and spherical aberrations at full aperture. No image shift when racking focus from close focus to infinity. All focal lengths are color balanced, achieving excellent contrast and resolution over the full Super 35 format. • Optical Design The optics are designed to give maximum performance at full aperture with superior control of flare, distortion and spherical aberration. • Electronics Accessible via contacts in PL mount that sync with /i compatible cameras. 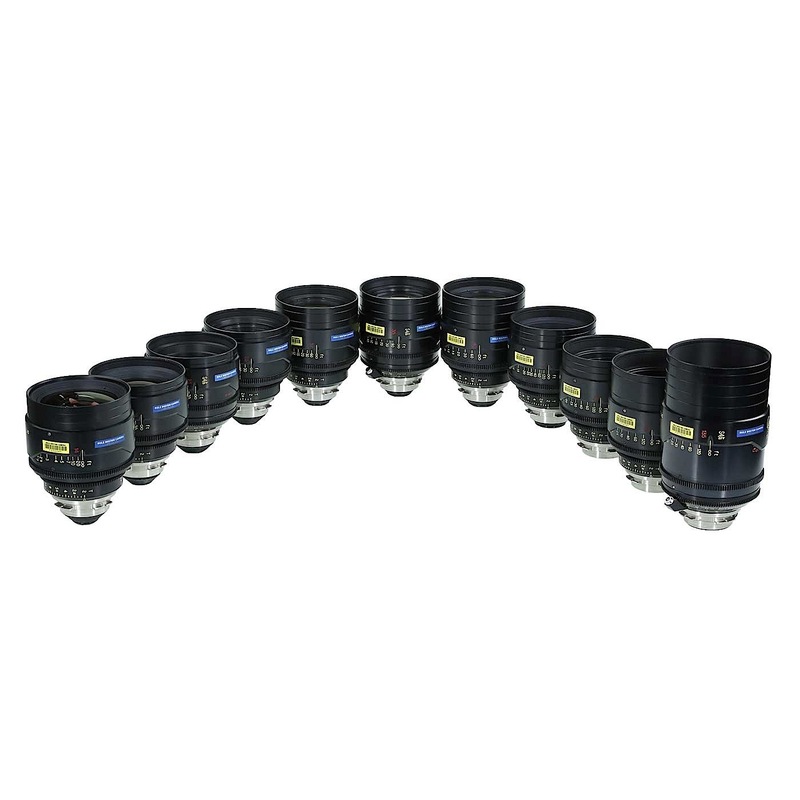 • Colour Balance All miniS4/i prime lenses are colour balanced to a specification within parameters approved by Kodak. 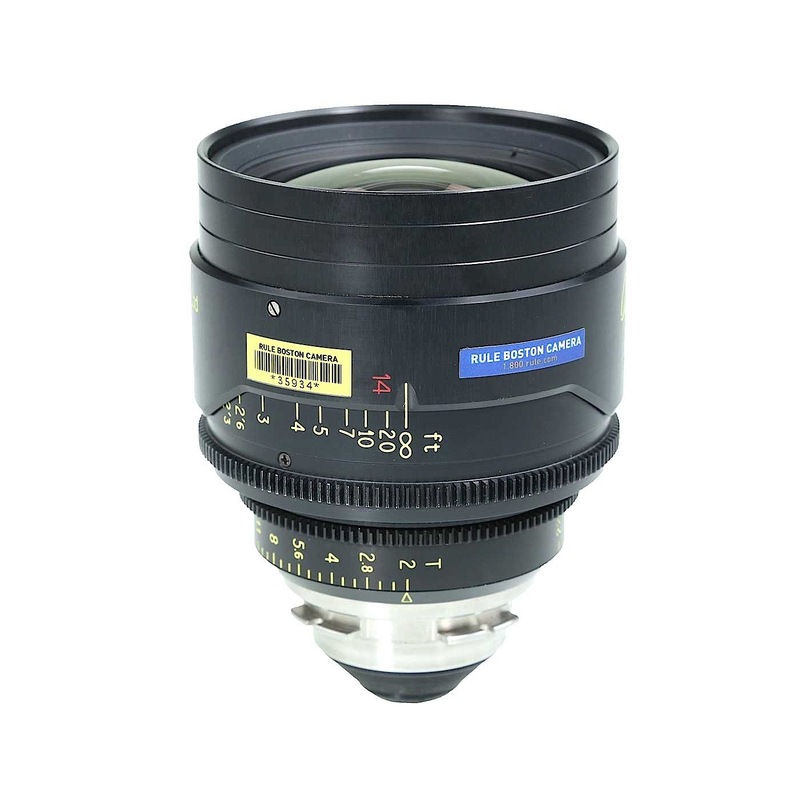 • Aperture All miniS4/i primes have a true T2.8 aperture and cover Super 35mm format. Index Marks Every index mark is labelled. More detailed markings allow for more detailed focus control. • Focus Movement Our Academy Award® winning cam-style focus movement coupled with the added benefit of a large lens barrel diameter, has allowed for an increased number of focus markings, particularly at close focus. Spherical aberration has been controlled throughout the range of focal lengths to eliminate compensation of changes in back focus with aperture. A four-point contact bearing provides a smooth positive backlash-free movement. • Focus Scaling Large, clear numerals on both sides of the focus barrel benefit the focus puller when shooting under difficult lighting conditions. Plus the the Entrance Pupil position is engraved on the lens. 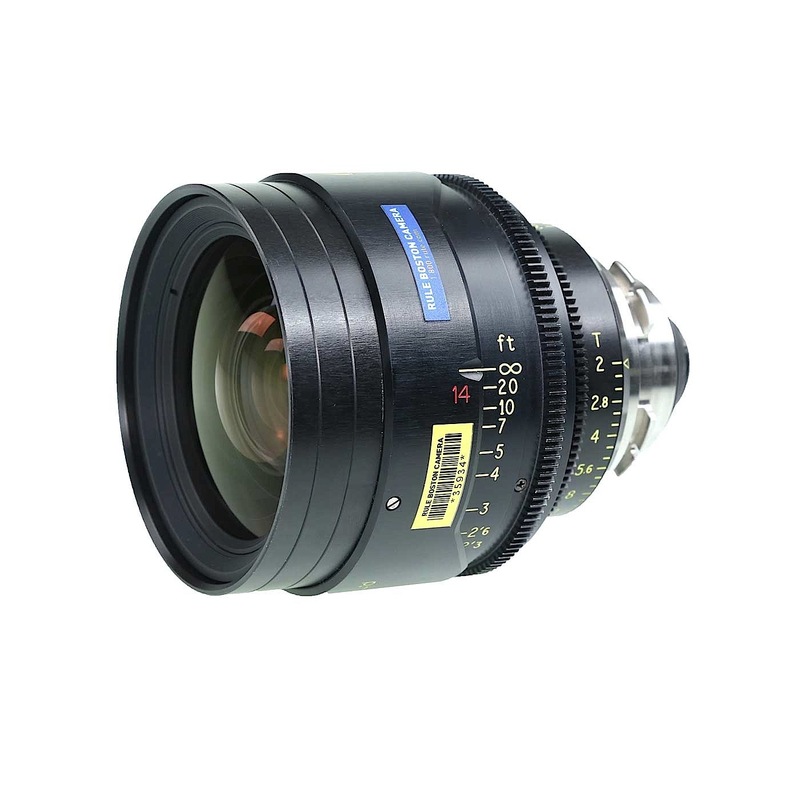 • Compatibility All Cooke miniS4/i primes have a common fixed front diameter of 87mm, with a focus drive gear of 121T x 0.8 mod and an iris drive gear of 119T x 0.8. • External Finish A scratch resistant PTFE hard anodised finish is provided on all Cooke lenses, providing a durable, hard-wearing surface to meet the most demanding environmental conditions. Iris An eight-leaf linear module iris assembly is fitted into miniS4/i primes with an aperture range of T2.8 to T22. • Weight/Size Ratio: The lenses are designed for all shooting applications, including handheld and Steadicam, providing comfortable balance ratio with the latest compact cameras. • Reliability and Service miniS4/i prime lenses are designed to meet a market requirement for fully reliable performance with a minimum of downtime. • Focus Scales Two opposing focus scales – metric or footage. Scales marked from infinity to MOD. • Iris Scales Two opposing linear T-scales – whole and third stops marked. • Iris Drive Gear 114 teeth 0.8 metric module x 4.0mm wide 84mm from image plane. 134 teeth 0.8 metric module x 2.5mm wide x 80.5mm from image plane (300mm). • Iris Drive Gear for LDS Lens 136 teeth, 0.8 metric module x 6.0mm x 79.5mm from image plane.